Building a SharePoint Intranet is a complex business. Gathering requirements, creating the solution, technical support and maintenance - these are all important and often specialist tasks. Yet many companies don’t put enough focus on what happens after an Intranet launches. They don’t consider the importance of creating and maintaining fresh content, of keeping users engaged, or long-term governance. One way of ensuring an Intranet is properly looked after once it has gone live, is to employ an Intranet manager. This is someone whose job it is to ensure the Intranet thrives, grows, and users are happy. It can be complex and demanding job, with many different roles and responsibilities. Yet it is also an incredibly important position to fill. Having an Intranet manager helps to foster a sense of ownership for the system within an organization. It provides a focal point for communications, and a forum that allows the business to resolve any problems. Most importantly it is a bridge between users and technical teams. Writing skills: The ability to create, review, edit and manage content within the Intranet. This ranges from news articles, to newsletters, to assisting users with creating their own content. Verbal communication skills: The ability to engage with employees at their level, and communicate challenging topics. SharePoint Intranets are based on often complex technology. Some people are able to pick things up quickly, and some require more time and coaching. Excellent verbal communication skills can help resolve or offset these challenges. Training skills: The ability to create and deliver educational training sessions. A good Intranet manager should understand the system well enough to create and deliver formal training sessions, along with ongoing advice and support. Distilling complex topics: Intranet managers are often involved in technical discussions. They are the conduit between end users and technical staff. The role often requires someone to explain user needs to technical staff or vice versa. They need to understand how the core of the technology works, and the key tools of the trade. Within SharePoint there are many different ways to achieve similar results. However the use of some tools and some choices can present future challenges. By understanding the tools of the trade and how the system works, a good Intranet manager can ensure the solution functions well now and into the future. Intranet managers must be able to explain how to use the system to end users, and offer ongoing support. It is important that they do this in a way that instills confidence to the end user. Sometimes users request functionality that does not currently exist, but can be achieved by configuring existing tools. A good Intranet manager should be able to create what the user needs, using out of the box tools and best practice techniques. Intranet managers need to work with people of different levels and technical backgrounds. People who will offer varied levels of support and interest throughout the life of the system. Balancing these different needs and opinions can require a great deal of patience on behalf of the Intranet manager. Intranet managers are also often working with new technology, which means new features are being uncovered, and bugs worked out, as the Intranet matures. The role requires working closely with technical staff or developers, who can be extremely busy on multiple projects. Again patience is a virtue. Being an Intranet manager can be extremely challenging. The job relies on building a bridge between the technical side of the system and the end users. The Intranet manager is the main point of contact for nearly all functional, training, and support issues. They are also the voice and representative of the customer to the technical team. Combining these many roles is complex and demanding. But for those with the relevant skills, the desire to achieve success, and who want build a career in the SharePoint space, the role of Intranet manager can be fun, challenging and rewarding. It is a great way to become familiar with the SharePoint platform, and can be a springboard for related careers. For the right person it is a fantastic job! 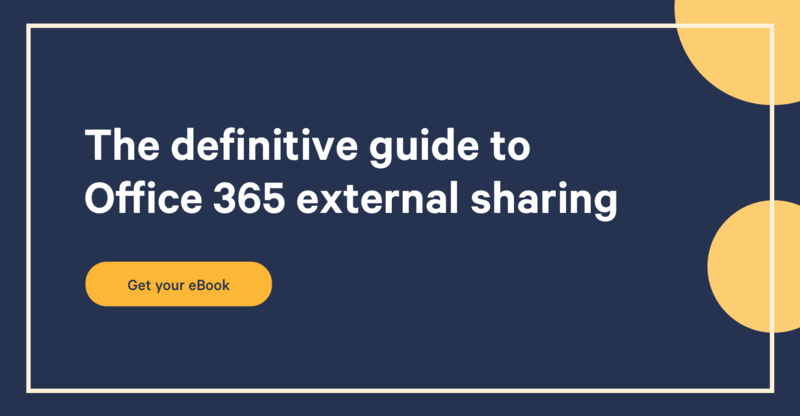 It's precisely to help SharePoint Admins accomplish their duties that we created Sharegate Management.